We’ve all heard the saying that only two things are certain: death and taxes. And despite the universal truth of this statement, none of us really enjoys discussing either one, right? But avoidance is not the best strategy when it comes to understanding the basics of your finances, and it’s important to have a grasp of at least the basics of these matters in order to be in control—to the degree possible—of your strategies and decisions about the future. For most of us, life insurance is a central element of the financial safety net we provide for our families, loved ones, and other important people in our lives. Life insurance provides what has been called an “instant estate” in the event of our deaths: vital resources that can make all the difference in our families’ ability to carry on after our passing. Further, since life insurance proceeds pass to beneficiaries directly, without the requirement of being probated, they can provide a much-needed financial anchor during the intensely uncertain times immediately following the death of a loved one. With all this in mind, here are five important facts that you need to understand about life insurance. 1. If anyone depends on you financially, you probably need life insurance. I inserted the word “probably” because it is possible that some people have sufficient liquid and invested assets to provide an ongoing income sufficient to support their families, even when death halts their ability to earn. But the vast majority of us are not in the position of having in place a portfolio that will continue to provide for our families when we’re gone. And this doesn’t include only spouses and dependent children; some businesses—particularly partnerships—incur large and immediate financial liabilities with the death of one or more of the principals. Without adequate and readily available financial resources, such businesses could be forced to liquidate. Fortunately, life insurance is designed to be an affordable protection against such undesirable outcomes. 2. Life insurance isn’t just for the primary breadwinner. Sure, replacement of lost income is one very valuable use for life insurance proceeds. But consider: if one of the spouses, rather than working outside the home, dedicates their time to caring for children or another dependent family member, what would it cost to replace those services in the event of that spouse’s death? Someone will be needed to perform those duties so that the breadwinner can continue working, but that won’t be free. Or, as mentioned above, what would it cost for the remaining partner or partners to buy out a deceased partner’s interest in a business? What would happen to a business if a key employee—the principal salesperson, designer, or other individual crucial to the ongoing success of the enterprise—were to die unexpectedly? Life insurance is a very useful tool for providing a financial cushion against these types of catastrophic losses. 3. There are four key entities in every life insurance policy. the beneficiary(ies)—the person, persons, or other entity who will receive the death benefit in the event of the passing of the insured. With most life insurance policies, the owner may change the beneficiary designation at any time prior to the death of the insured. Therefore, it is essential that the beneficiary designation of the policy be checked periodically to make sure it reflects the current needs and wishes of the owner. For example, if a primary breadwinner purchases a policy and names their spouse as beneficiary, and then they subsequently divorce, the purchaser might want to change the beneficiary designation to direct the death benefit to any children of the marriage, rather than to the ex-spouse. Alternatively, the owner might want to retain the ex-spouse as beneficiary, with the understanding that the proceeds would be used to provide for the surviving children. The important point is to understand that the beneficiary designation must be kept current. 4. There are two main types of life insurance. “Permanent” life insurance is more expensive, but the premiums are locked in for the life of the policy and it also has some sort of increasing value over time. The older type of permanent insurance, often called “whole life,” offers guaranteed cash values. The newer type, often called “variable life,” features an investment component that resembles a mutual fund. The second main type of life insurance is called “term” life insurance. As the name implies, this type of policy, while much lower in cost initially, provides only a death benefit—no savings or investment portion. Also, term life becomes more expensive over time. The key question anyone needs to ask before buying life insurance is whether the need being funded by the policy is temporary or permanent. If, for example, someone is taking out a loan to buy a business, and the loan is expected to be repaid in ten years, they might wish to purchase a 10-year term insurance policy to provide funds for paying off the loan in the event of their death before the 10-year term is over. 5. Life insurance is primarily a risk management tool, not an investment. The reason for this is that at its most basic, a life insurance policy is intended to provide funds in the event of the death of the insured. This expense is factored into the cost of the policy, and these funds are not available for investment. Over time, most individuals’ investment objectives are best served by vehicles that do not contain this cost element. 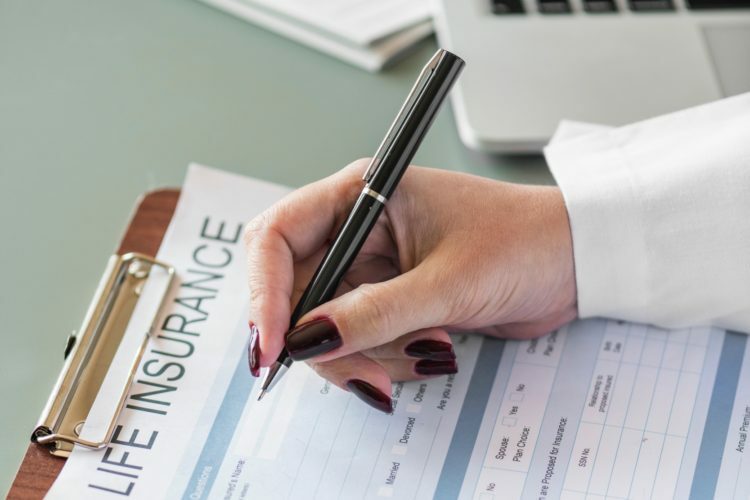 Certainly, life insurance is a valuable and important part of most financial plans—but it is not intended primarily as a vehicle for building wealth.